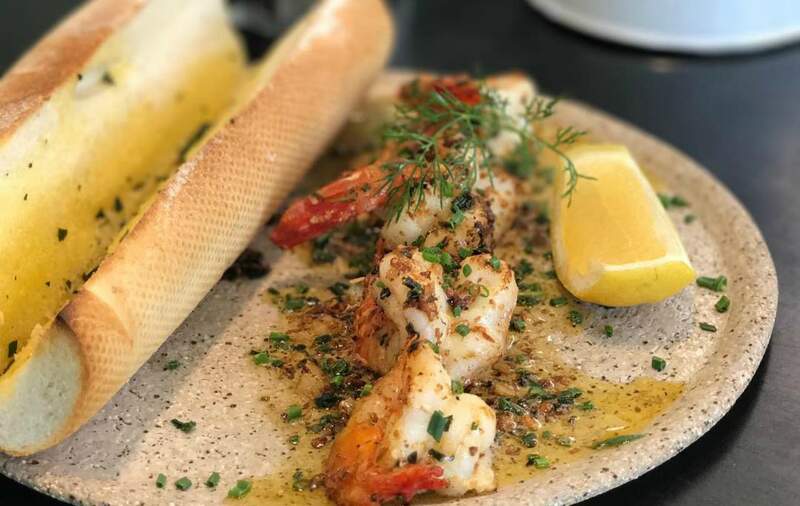 Whether sports is your pastime of choice or something that you go out of your way to avoid, Toowong's Wests Rugby Club is about to become one of the inner-west's must-visit eating spots. As part of the building's renovation, the folks behind local favourite The Corner Store Cafe have moved in. Don't worry, your favourite suburban hangout hasn't changed — it just now has a sibling down the road. Meet Pitch and Fork, and prepare to pull up a table and grab some cutlery. In fact, just sitting down in the new eatery's al fresco dining area brings plenty of pleasures of its own. When was the last time you ate breakfast, brunch or lunch under brick arches with a view of hills and greenery? You'll match those nice sights with a house-smoked ocean trout omelette, Sunshine Coast tiger prawns on a sourdough baguette, a turkey and pancetta clubhouse sandwich, a veal parmigiana burger, and healthy eggs Benedict with sautéed broccolini, kale, spelt toast and avocado mayonnaise, to name a few dishes. And coffee-wise, expect a hot cuppa of Parallel Roasters' finest to really kick your day into gear.